Each LizzyLoo piece is hand-made and one of a kind. 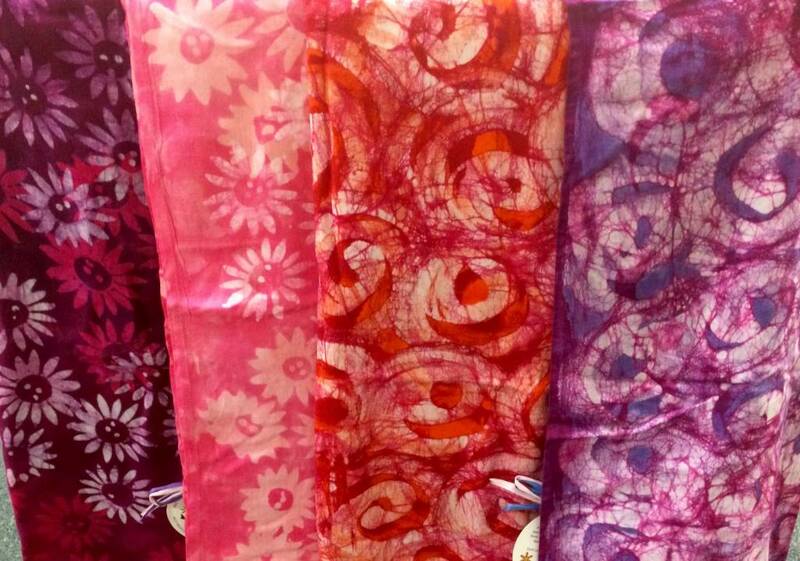 Batik is the process where melted wax is applied to cloth before the cloth is dyed. The wax cracks and resists the dye creating a unique design. "LizzyLoo Designs started out as a way for designer and owner Debbie Frost of Salem, MA to connect with her new-born nieces in Texas. 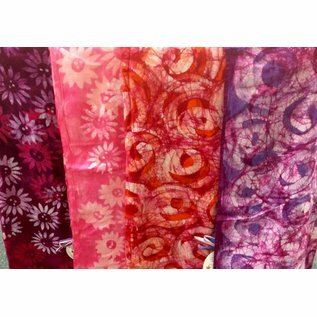 Since it's humble beginnings in a kitchen, LizzyLoo Designs has grown, and the unique batik line now has a storefront in Marblehead, MA as well as wholesales in over 20 stores in the New England Area."